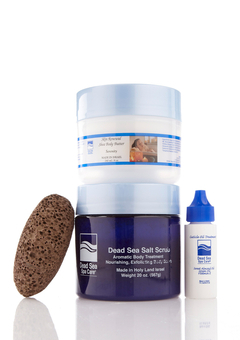 The Dead Sea Spa Care 20 oz Salt/Shea Set includes all the skin care products you need to exfoliate and soften your dry skin. Simply apply a spoonful of the salt scrub on the pumice stone while in the shower to exfoliate dry areas such as the heels on your feet, elbows or knees. You can use the salt scrub all over to cleans your skin. The Dry Salt Scrub is a great product to exfoliate your dry skin cells. This Dead Sea dry salt scrub is a great body scrub for all of your exfoliating, scrubbing and polishing needs. Your skin will feel smooth, soft and refreshed after using our aromatherapy scrub products. Our body scrubs use fine Dead Sea salt, and we use fragrance oil in our salt scrubs. Our scented body scrubs will leave your skin not only soft, but smelling wonderful. The Shea Body Butter should be used after the shower to moisturize your skin. Protect and hydrate your skin all day with the Dead Sea Spa Care rich formula blend of Sweet Almond Oil, Vitamin E, Avocado Oil and Jojoba Seed Oil used in the Dead Sea Spa Care Shea Body Butter. These wonderful, natural humectants plus the minerals from the Dead Sea intensify cell regeneration, leaving your skin instantly silky smooth and soft, not oily or greasy. All our products contain minerals from the Dead Sea, which are wonderful for your skin, and can be used for all skin types. Our Cuticle Oil Treatment helps keep your cuticles and nail bed moisturized, stimulating healthy nail growth. 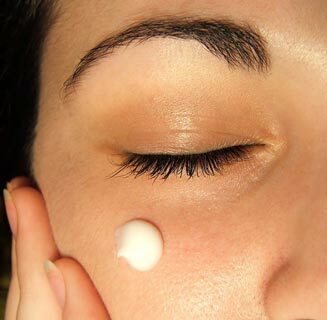 Dead Sea Spa Care uses vitamin E, nourishing Sweet Almond Oil, Grape Oil, Avocado Oil and Sesame Oil are custom blended in our Cuticle Oil Treatment to give your cuticles a natural and invigorating treatment. The Dead Sea Spa Care 20 oz Salt Scrub, Shea Butter and Stone Set makes wonderful presents for all occasions.